3.3TT AVAILABLE NOW... SSR PERFORMANCE Power Pack 3 Development! Discussion in 'Engine, Drivetrain, and Exhaust Discussion' started by SSR Performance, Jul 13, 2018. Today at SSR Performance we embarked on a journey... we set off on a mission to bring you guys, the new generation of Kia Stinger GT 3.3TT owners, the best in performance. Our pledge to the Kia Stinger community is to not only provide value but also to bring you guys the absolute finest in quality that we have to offer. With our current production schedule being 100% on track for this platform, we are beyond excited for what the near future holds! We ask you guys to join us on our journey to creating something amazing as we use this thread as an open dialogue to stay connected with the most important person there is to us, you. We want to hear from you whether you have an idea, a spur of the moment thought, or even just a simple hello. Started in Southern California by Zayn and I, SSR Performance began as an aftermarket automotive parts manufacturer. 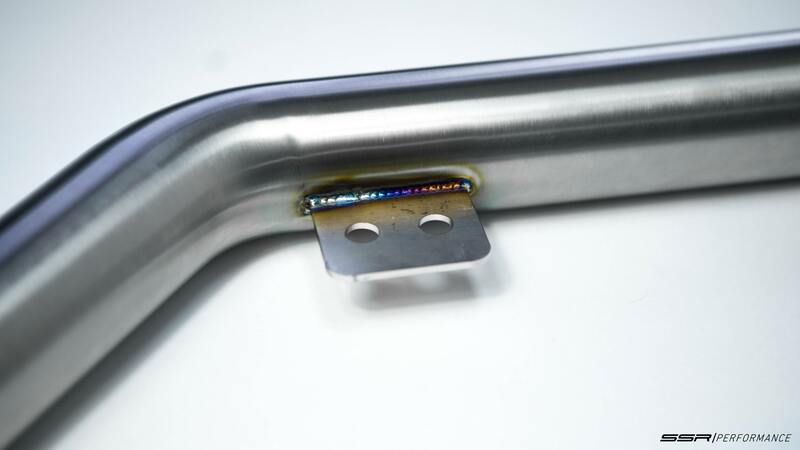 With our Mechanical and Aerospace engineering backgrounds, designing parts was second nature. Along with the sale of parts came the undeniable need for a location to be able to install these parts. With over 10 years of combined automotive expertise between us, the decision was made to open SSR Performance's first location in beautiful Orange County, CA. Today SSR Performance is a thriving business that takes care of any and all aftermarket modifications, repairs, and upgrades on all new model vehicles. As they say, the apple doesn't fall from the tree, it just so happens that Zayn is an ex-test engineer for KIA North America. 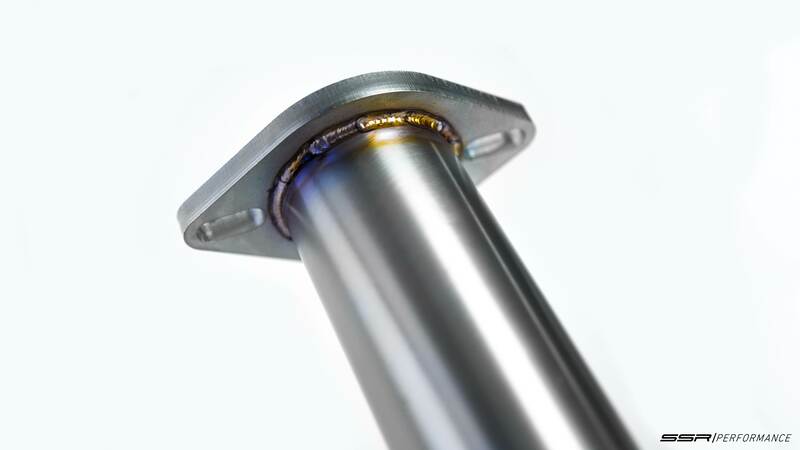 So not only are we able to offer our solutions with our general engineering knowledge but we are also able to tackle them with direct first hand working experience. 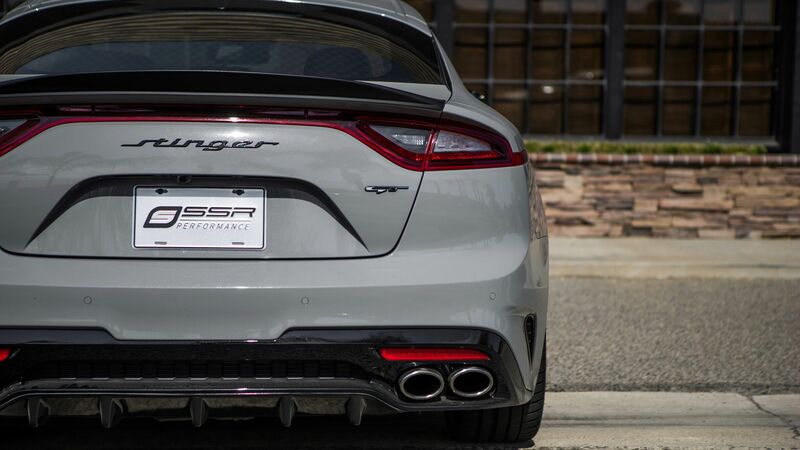 If you are in the market for aftermarket performance parts for your Kia Stinger GT 3.3TT, look no further. We promise you that our products will be worth the wait. Keep an eye out here and on our Instagram (@SSRperformance) to stay up to date with our day to day development progress! So whether you're new to the modification world or a 5 car veteran, we hope to hear from you and learn each and everyday so that we can help you do what we do best.... modify, tune, and repeat! Just to let you know.. I have created a page on our website that will keep all the essential information regarding our upcoming products for the Stinger GT 3.3TT all in one place. The forums are great for conversation of course, but this page will be an easy one-stop informational learner page for people who are seeing this thread for the first time since scrolling through page after page isn't the most efficient way to quickly learn about our products. ALSO, I have added in a form on that same page for you guys to be able to provide your direct contact information for the specific products that you guys are interested in so that I can notify you guys immediately as soon as the product(s) are available for sale on our website! Hope you are all doing well! I know it's been a bit overdue, but you know what they say... all good things come to those who wait This is no exception! We have been working as hard as we can behind the scenes to bring you guys something that is not just good, but GREAT. We promised you the best and I think we've done it! 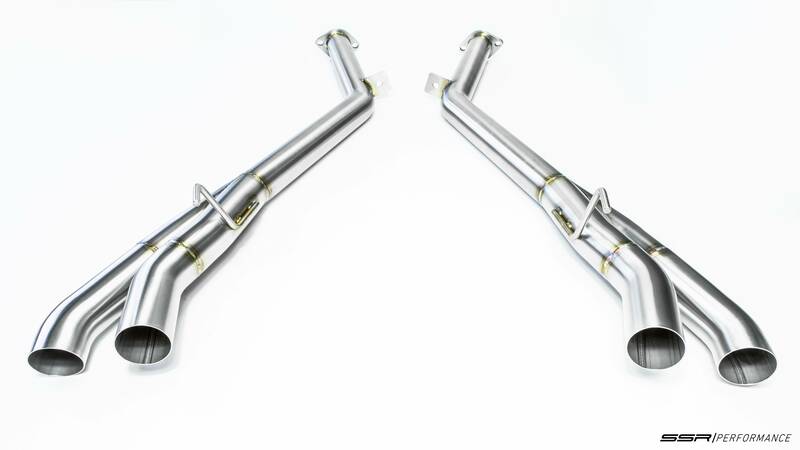 Say hello to the brand new SSR Performance Kia Stinger 3.3TT Competition Series Exhaust components! That is a 30WHP increase and a 26WTQ WITH JUST SSR DOWNPIPES!!! Guys....look at those beautiful curves!!! The whole powerband was increased almost evenly with both torque and horsepower. This is amazing stuff!!! The area under the curve is a lot higher now as well. So now when the car pulls, it keeps pulling. The sound is intoxicating. The power is VERY noticeable. I can confidently say that our hard work has really paid off. Baseline Dyno Day for our test Stinger GT 3.3TT! Yesterday we did some baseline runs with our stock 2018 Kia Stinger GT2 3.3TT! 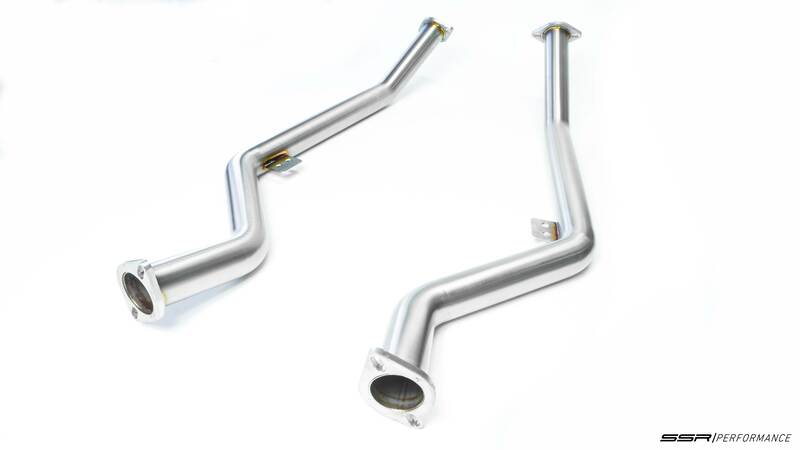 We are currently in the process of developing multiple performance products for these vehicles including downpipes, muffler bypasses, and a special first of its kind intake! We are extremely excited to see what we can do with this car considering that it is brand new and has a lot of potential that Kia left on the table! Without further adieu, we present to you todays baseline numbers. Click play on the video to see! The numbers were extremely consistent! We are going to be adding our parts on and will be back on the dyno very soon to show you what we can do! With that said, today our Kia Stinger GT is under the knife and being prototyped as we speak. The wait will all be over soon! Guess you do not want to do business with GT and GT1 Stingers. Would seem like anything developed for the GT2 would work with the base GT and GT1? We would love to do business with all 3.3TT owners! It just so happens that our test car is a GT2, however our line of performance products will crossover to all 3.3TT Stinger models including GT, GT1, and GT2! What will be so special regarding the intake? And will you develop an EVC exhaust? Any plans for a custom oil catch can? The people want a true enclosed cold air intake and a evc exhaust with valves closed being close to stock and valve open close as possible to muffler delete. "What will be so special regarding the intake?" Considering that the intakes aren't released just yet I'm not allowed to talk about the exact details of how it will be different from what's already on the market. What I can add though is that we will offer two options. One will be the quick "simple" solution that will be sold at a lower rate. The "special" solution definitely won't be the best option for everyone and will be sold at a higher price point than the simple version and offer a first of its kind intake experience for the 3.3TT market. "Will you develop an EVC exhaust?" An electronic valve controlled axleback exhaust system (with the option of a full catback exhaust) that is controlled "closed" and "open" using a wireless remote. Closed position volume and tone will be close to that of stock exhaust. 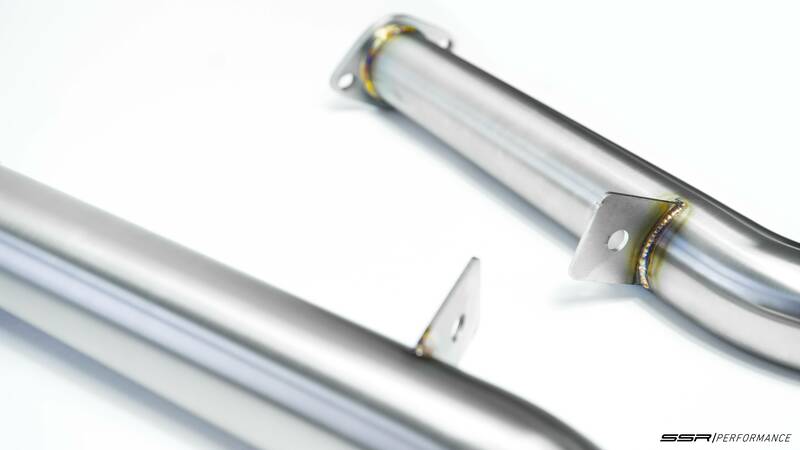 Open will sound equivalent to a muffler delete which has a louder volume and deeper tone. 1. What are your thoughts on a reasonable price point for a product like this? Keep in mind the quality materials necessary to build it will be a sizable cost alone even before any fabrication is started. 2. What kind of response do you think we would receive at that price point from the market in terms of sales if we built this system? "Any plans for a custom oil catch can?" No plans for this just yet considering that we are focusing on the performance aspect since that is our expertise. Creating an oil catch can solution is definitely something that we will add to the list. "The people want a true enclosed cold air intake and a evc exhaust with valves closed being close to stock and valve open close as possible to muffler delete"
Awesome! Thank you for letting us know, this helps us out a LOT. We love to know what you guys want. It may not always show directly in what we eventually end up offering since there are so many different factors that come into play, but trust me, we take all of your guys' thoughts into consideration. So thanks again!! "Very nice, can't wait to see what you do with the car "
Thank you very much sir! I promise you won't be disappointed. Well, there is one EVC from Jun BL that is about $2000 because of the $400 to ship it from Korea. Jun is very well known for high quality exhaust systems. So maybe a good price point would be $1500ish. Lots of people want this as an option and including the fully inclosed intake. But I’ll be honest, if you’re not willing to say why it will be “special” I (and likely others) will probably go with soon to be released options from Stillen, Injen, and Jonny Tig. Yeah, that price point seems reasonable at least as a ballpark figure. Keep in mind that 100% of our production is done here in the USA, as opposed to overseas. Not saying that the overseas production isn't up to par, but rather just pointing out a fact. With that said, our production costs are higher, however quality control is very effective. This is ultimately a factor in the final "cost to the customer" of the product. As far as the intake goes, I'd rather not spill the beans while the item is still in its production stages. When we are ready to start pre-orders there will be a full breakdown of the product along with photos and HP / TQ gains on the dyno. Unfortunately I can't sway you or anyone else from purchasing a competing product before our product is ready to be announced. What I can say though is that we are not far off from that announcement. Thank you! Can you give a timeframe on when you may release the intake? I won’t hold you to it. 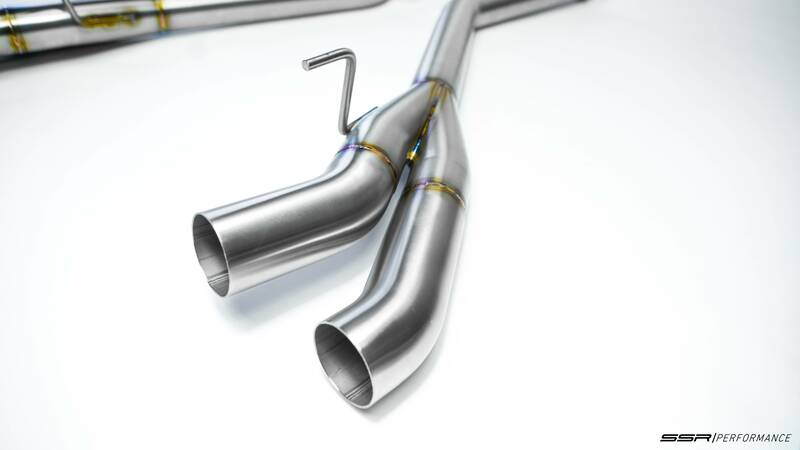 I am interested in an EVC exhaust as well. Although we don't have an exact date we are hoping to (and working as hard as possible to) have this intake released for you guys within the next 4-6 weeks. Perfect! Thanks for letting us know! Which products are you more particularly interested in? That's an awesome idea!! Let me do some research and see what's available out there currently as far as brake products go and see what we may be able to put together. Thank you! !